A gold and black Royal Crown riser supports a player running for the winning touchdown on this modern trophy that is both impressive and budget friendly. 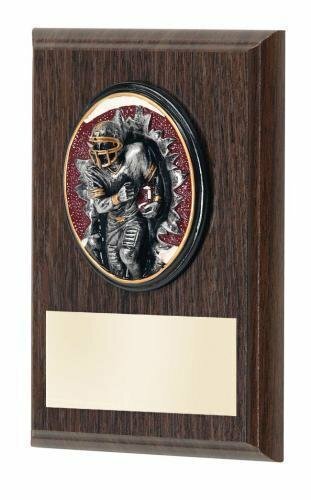 Mounted to a white weighted base with plenty of room to personalize for your event, it will make your team feel like royalty to be awarded for their skills on the football field. This gold figure has a lot going on. 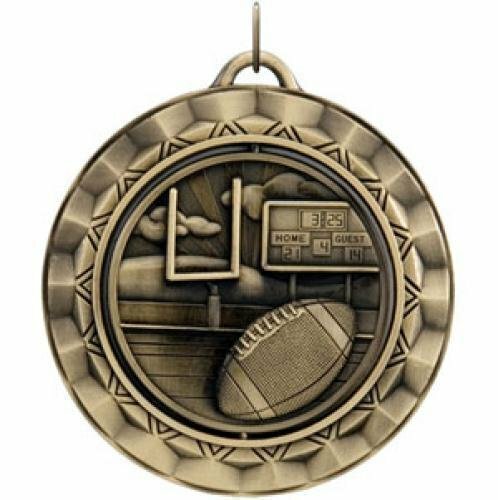 The slanted oval shape with the silhouette of a player throwing the ball on the bottom end, and the large football in flight on the top gives this unique figure a real 3 dimensional sense of motion. The starbursts in the red and gold column adds more dimension and color, and mounted to a white genuine marble base makes a stunning award. The base can be personalized to recognize and honor achievement on the football field. 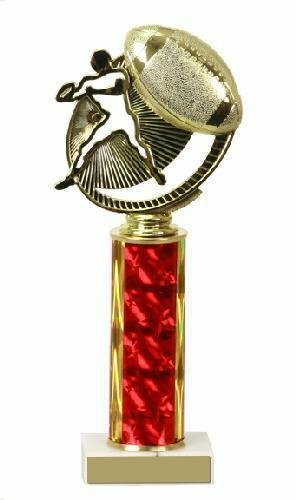 These sport ball resins are great for awarding championship teams and offer several options for your award needs. Available in 4 finishes and two sizes, you can select from a large variety of bases and add personalization to create the ultimate in sport awards.